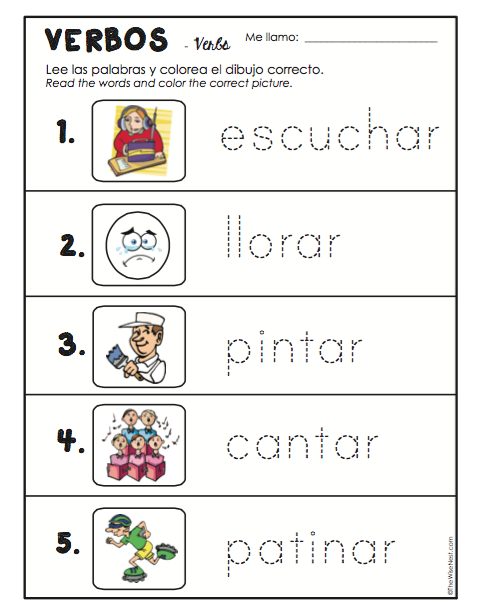 The new set of Action Words in Spanish is available now! 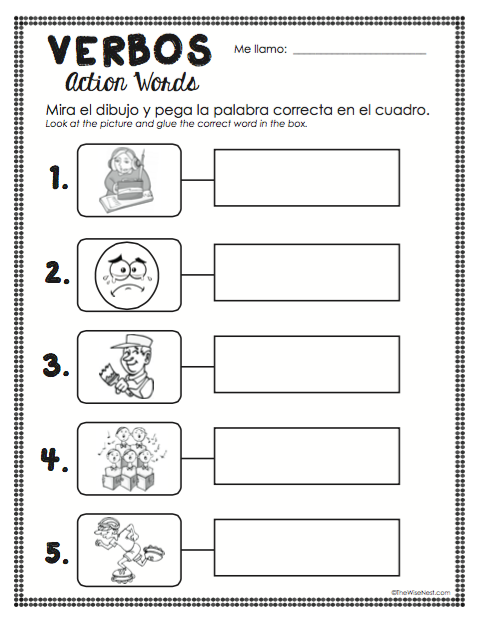 In each set we will learn 5 action words/verbs. With the younger ages, we focus on building vocabulary. As they get older, and they get introduced to conjugating verbs, if they have a vocabulary bank that includes verbs, the conjugating process will be a lot easier for them. They would only have to learn the endings to the verbs, rather than the verbs PLUS the conjugations. 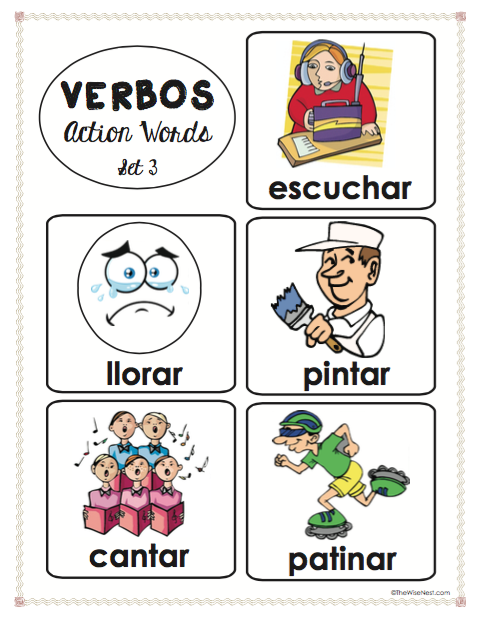 Let’s get our students introduced to Verbs at an early age! 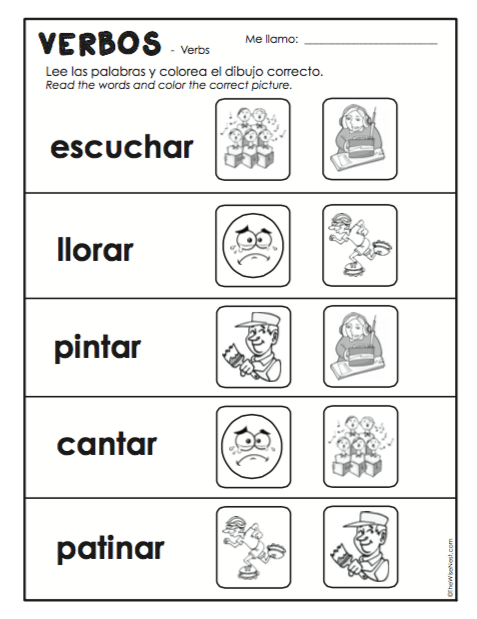 Have fun, play games, and sing songs in order to facilitate the memorization of the vocabulary! Below you will find a file containing a few resources to practice and review the verbs. As always, it is my hope these resources are useful to you either at home or in a classroom!